The new Gold Coast City Plan will come into full effect on 2nd February 2016 and the first Moreton Bay Regional Council Planning Scheme will come into effect today, 1st February 2016, replacing the existing Redcliffe, Caboolture and Pine Rivers Planning Schemes. Under state government, requirements are in place to ensure that planning schemes identify areas of local environmental significance to safeguard values such as ecological corridors, priority species habitats, native vegetation and waterways. Land use (zonation) mapping for the regions of the Gold Coast and Moreton Bay have undergone amendments which are reflected by the new planning schemes. As such, if you own a business or property in either region, the revised planning schemes may affect you. They may have an impact on what you can do with your property and what others around you can do. As well as zoning, overlay (constraints) mapping has also been updated under both planning schemes. In short, overlay mapping identifies a range of features that may need to be considered when developing land. An overlay may apply to all or part of your property and your property may also be affected by more than one overlay. Overlays may affect the type and level of assessment as well as design requirements applicable – to see if your property is affected by an overlay go to the links provided below and search your address. By clicking on your property you can view your property report which will list all the overlays applicable to your site. Further details regarding the new planning schemes can be found at https://www.moretonbay.qld.gov.au/mbrcplanningscheme/ and http://www.goldcoast.qld.gov.au/planning-and-building/city-plan-2015-19859.html. If you have any queries relating to the above, feel free to get in contact with our office (Nelson Wills, 07 5575 7308, nwills@newground.com.au). 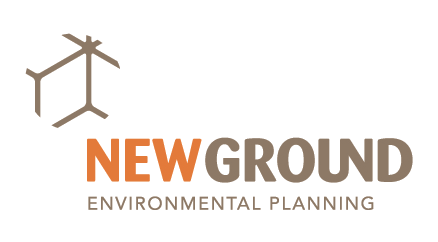 We’d be happy to help you navigate through the environmental approvals processes under the new planning schemes.